I’m part of a blog tour for The Fog! The full schedule is listed below. 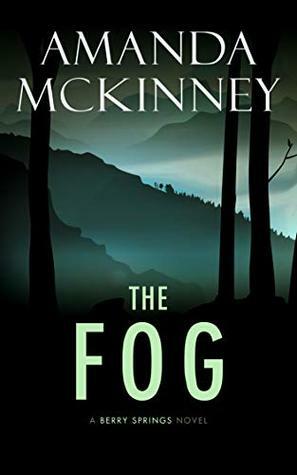 Just out today, The Fog is the fourth in the Berry Springs series and all of the books are available on Kindle Unlimited. As my part of the tour, here are the author Amanda McKinney’s Top 10 Romantic Suspense books. I have to admit that I also love Nora Roberts’ work. Don’t miss the tour-wide giveaway for a $50 Amazon gift card plus signed paperback copies of the complete Berry Springs series or a $100 Amazon gift card. See details below. Plus if you go to the author’s website, you can get a free copy of book one in the author’s other series, Devil’s Gold: A Black Rose Mystery.